Description: Definitely, a unique structure for the Las Vegas area. This 12,000 sq. ft. custom residence was built with a cut-and-stack wood roof, providing an open attic for a considerable increase in livable space. 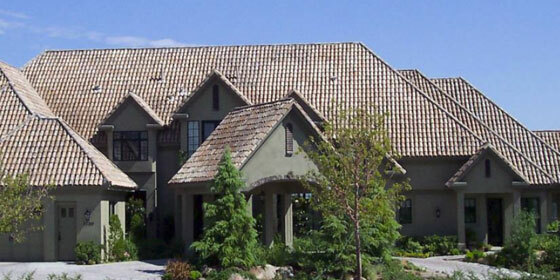 A steep gable roof, smooth stucco walls with stone accents and a lush mountainlike landscape combine to ensure that this mansion is noticed in the prestigious golf-course community of Peccole Ranch.